I've tried a couple of times to start watching Rake and have not gotten past the terrible previews and lousy first minutes. 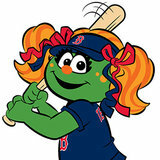 If it is worth it, maybe I will hunker down and watch enough to get to the good part. Seems a far cry from Leo McKern and Rumpole. Russian Doll is just out and very good. Speaking of Netflix streaming and binge watching, am I the only one for whom shows run together and a few months later can't tell you one reasonable thing about series I watched? I think there are two factors at work. First, there is so much content and in every category there are similar series, making it more likely that they blend together. Second, with the weekly series format, you anticipate the next week and look forward to it, so it has a bigger impact than just going onto the next streaming episode. Of course, another factor may be GOS Syndrome. Seems a far cry from Leo McKern and Rumpole. Watched the documentary series “the innocent man” last night (well this morning) while unable to sleep due to a bout of influenza. It chronicles some disturbing connections between to grizzly murders on a small Oklahoma town. I didn't realize they roamed so far south. Things you learn with documentaries. Edited to fix autocorrect that would be unintentionally insulting. Last edited by Crackpot on Sat Apr 06, 2019 9:47 pm, edited 1 time in total. 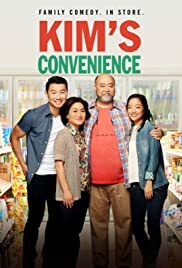 Kim's Convenience is very funny. It comes in 21-22 minute episodes so you can catch a bunch at a sitting. Netflix’s The Highwaymen, starring Kevin Costner and Woody Harrelson, is a pretty darn good telling of the real life heroes who brought down Bonnie & Clyde.